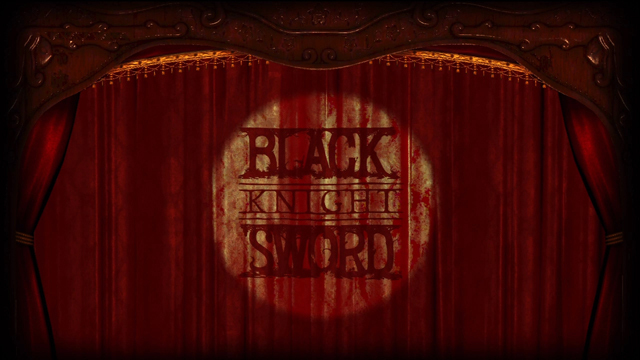 Black Knight Sword was co-developed by Grasshopper Manufacture and Digital Reality and published by Reverb Publishing. It was released on December 12, 2012 for 800 MSP. A copy was provided for review purposes. Moments before the curtain is pulled, it’s clear Black Knight Sword is something unique. Bright stage lights pour over rippled maroon as patrons titter in anticipation. Suddenly, an alarm bell rings out. Silhouettes quickly rise to shuffle away from the stage. The production’s now vacant audience is an appropriate analog for what’s to come; a unique experience targeted at no one in particular. 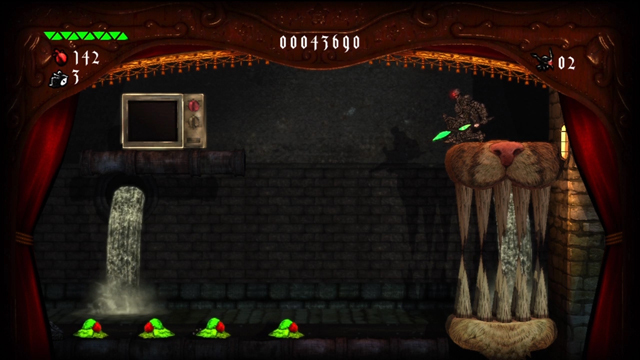 Black Knight Sword has been touted as many things: retro platforming homage, surreal fairy tale, dark twisted mystery. 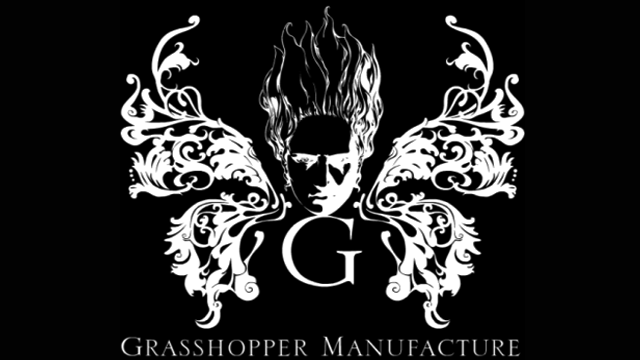 All this it achieves, helmed by Goichi “Suda 51” Suda, whose penchant for the bizarre oozes through the grim aesthetic. 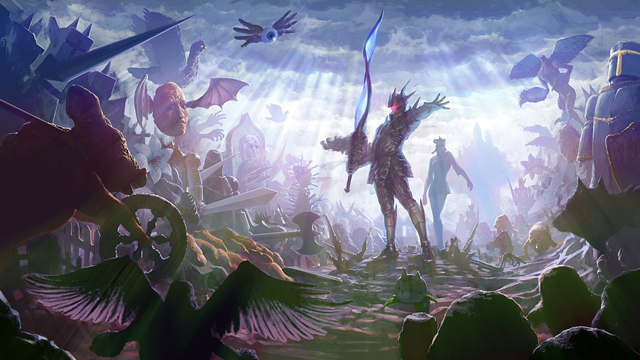 The black knight, assuming the role after coming into contact with the sword spirit, must battle through a punishing gauntlet of horrors, each chapter unfolding like a storybook parable — pushing along a loose narrative that resonates with deeper significance. A solid week for Xbox Live Arcade. We’ve got some big releases and DLC to pour over, a lot of great games on the horizon and a few impressive milestones for XBLA favorites. What did you pick up this week? Are you battling for Middle-earth? Hitting monster combos in Tony Hawk, or pitting historic figures against each other in fantasy duels to the death? Bring out yer dead! Bring our yer dead! And, no, it won’t cost ninepence because The Black Knight from Black Knight Sword is here to rid the world of treacherous evil for the thrill of killing. The wicked, bad, naughty, villainous, duplicitous, and super evil Dark Princess must pay the penalty! 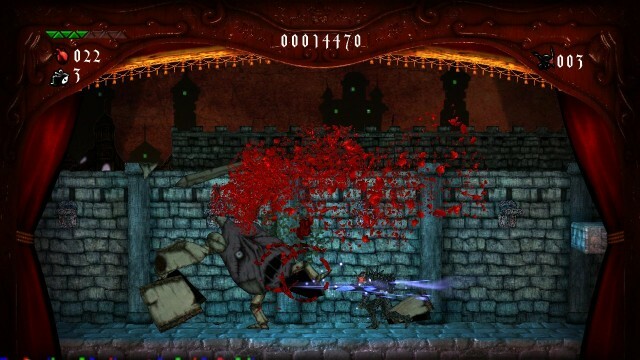 So never fear, The Black Knight will make his grand debut in Black Knight Sword on Xbox LIVE® Arcade for the Xbox 360® video game and entertainment system from Microsoft Wednesday, December 12. Even without arms or legs, The Black Knight will partake in an adventure through a strange spin on a classic fairytale to defeat the wicked creatures of the night.